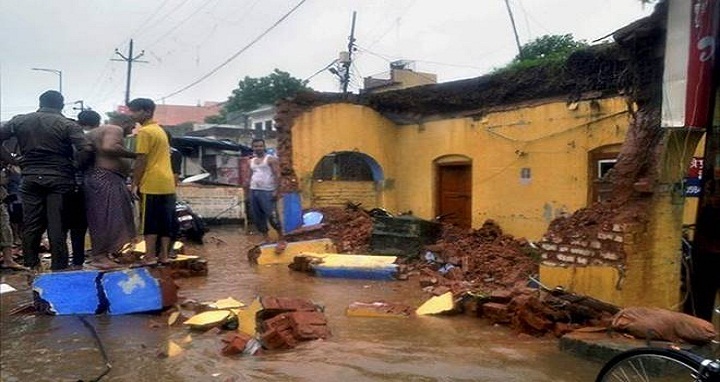 Dhaka, 28 July, Abnews: At least 37 people have been killed this week as monsoon rains triggered house collapses and flooded wide swaths of land in northern India. Weather officials have predicted more rains in the next 48 hours in India's most populous state of Uttar Pradesh. Government spokesman Awanish Awasthi said Saturday that the deaths occurred since rains started on Thursday night. Most of the victims died on Friday in Agra, the northern Indian city where the white marble Taj Mahal is located, including four members of a family who perished in a house collapse. Officials say rains also damaged an outer boundary wall of the 16th century Fatehpur Sikri fort.